A Standout Among Roofing Contractors in Elk Grove, CA, is Chriswell Home Improvements, Inc. 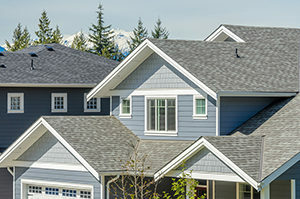 There are many roofing contractors serving the Elk Grove, California, area but only one that is 100 percent dedicated to improving the energy efficiency of your home with specialized roofing shingles and unmatched installation services – Chriswell Home Improvements, Inc. We are a veteran-owned company that has been serving the area since 2010. Thanks to our proven track record of success, we are proud to have earned the title of GAF Master Elite®, an honor that only two percent of roofing contractors across the nation have earned. Additionally, this product has a Class A fire rating, the highest available, and is backed by a competitive warranty to protect your investment. And, when you partner with Chriswell Home Improvements, Inc., you can rest assured that your new roof will be installed according to best-practice guidelines to ensure a flawless finish – another great reason why we stand apart from other roofing contractors. To learn more about the heat-reflective roofing shingles that we can install on your home in Elk Grove, CA, or a nearby city, and why we are a leader among roofing contractors in the area, contact Chriswell Home Improvements, Inc., today.